Ottawa’s new faith and gangs group listens to Christian and Muslim community volunteers who are trying to find ways to keep kids out of the grasp of street gangs, writes Jennifer Green. Maybe religious leaders can’t reach Ottawa’s hard-core gang members, but they believe their teachings can divert younger kids headed that way. The snag is often a parent who objects. Crime prevention officials, police and Christian and Muslim community volunteers recently addressed the city’s new faith and gangs group to explore how congregations might keep kids from a gang lifestyle. Abdi Wahid, a Somali Muslim, said gang life looks like the only alternative to young immigrants who can’t keep up in Canadian schools after years in refugee camps. Around five in the morning one day in the summer of 2007, just as Imam Khalid Latif was preparing for the salatul-fajr, the obligatory prayer between dawn and sunrise, the phone in his small Manhattan apartment began to ring. He had been up late the night before, having just conducted a nikkah, a Muslim wedding ceremony, for a South Asian couple he knew from New York University, where he served as chaplain. Afterward, he offered to drive a few students back into the city, so he had not gotten home as early as he might have expected. 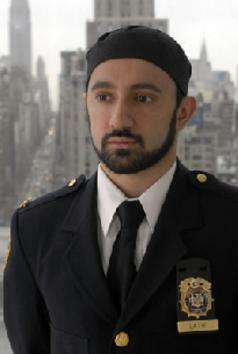 On the phone was an operations dispatcher from the New York Police Department (NYPD), where Imam Latif also served as a chaplain, having been named only three months earlier to the post. This was his first emergency call: Two cops had been shot, one fatally. He was to go to the hospital to minister to the families and fellow officers of the fallen. 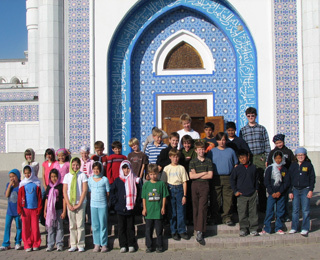 Most American schoolchildren learn about Islam in a social studies classroom. 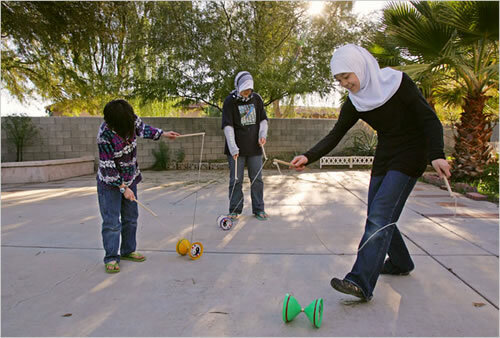 But at the Friends School in Baltimore, eighth-graders make their own mini-pilgrimage every year, to the Islamic Center in Washington, D.C.
As their bus rattles along the highway south to Washington, most of the kids are busy making up songs about each other. But 12-year-old Julia Potter is counting off the Five Pillars of Islam on her fingers: charity, prayer, fasting, profession of faith, and the pilgrimage to Mecca. Welcome to Priscilla Martinez’s home — and her children’s school, where Martinez is teacher, principal and guidance counselor, and where the credo “Allah created everything” is taught alongside math, grammar and science. President Obama said today he is naming Rashad Hussain as his special envoy to the Organization of the Islamic Conference as part of his effort to build up relationships with the Muslim world. The announcement came in a video message by Obama to the seventh annual U.S.-Islamic World Forum meeting in the Qatari capital. More on his announcement here. 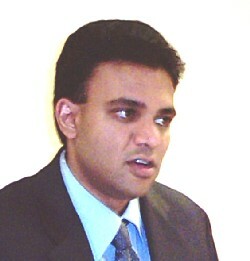 “This episode demonstrates that we must all come together as Americans to uphold the constitutional principle of separation of church and state, and to maintain the values of inclusiveness and fair treatment,” Hussam Ayloush, executive director of the greater Los Angeles area office of the Council on American-Islamic Relations, said in a statement. Minnesota is not just nice, but exudes warmth unlike any other place in the country. 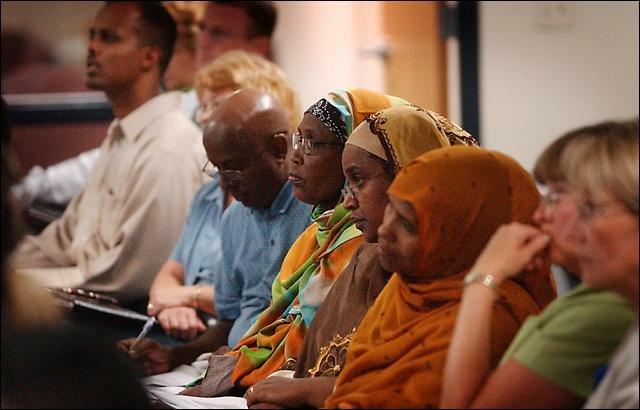 Home to the longest running Muslim-Christian dialogue in the nation, Minnesota is blazing a new trail in interfaith relations. The fact that Islam, Judaism, and Christianity have a strong connection to Prophet Abraham makes this dialogue simply fascinating. The belief in the God of Abraham gives a common platform to share the commonalities while respectfully understanding the differences. Interfaith dialogue is not about compromising one’s faith. Rather it is about understanding the other in a respectful and open dialogue.